Promotional Heart Shaped Light Up LED Sunglasses are having 10 Red LED lights and are suitable for showing your love for the customers through parties, night time events and also gatherings. An imprint area of .3” x 1.7” makes sure that your brand logo will pick up enough brand impressions from all events. These CPSIA compliant custom sunglasses are also loaded with 2 replaceable CR2032 batteries to enable instant application. 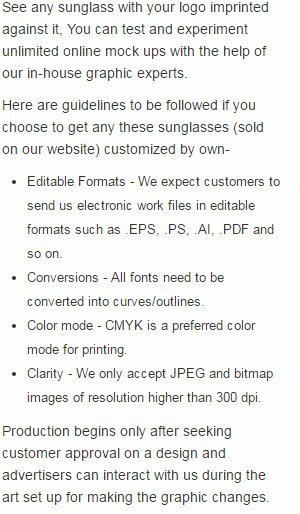 Order these custom party sunglasses right away to get our free artwork design and free online proofs facilities. Request a quote to know what you can save on ordering these Promotional Heart Shaped Light Up LED Sunglasses in bulk. LED Colors: 10 Red. 10 Pink. Additional Information: Includes 2 replaceable CR2032 Batteries, CPSIA compliant and the product is not suitable for children under five years of age.